Over my morning coffee I felt the urge to put pen to paper, and this is the result. 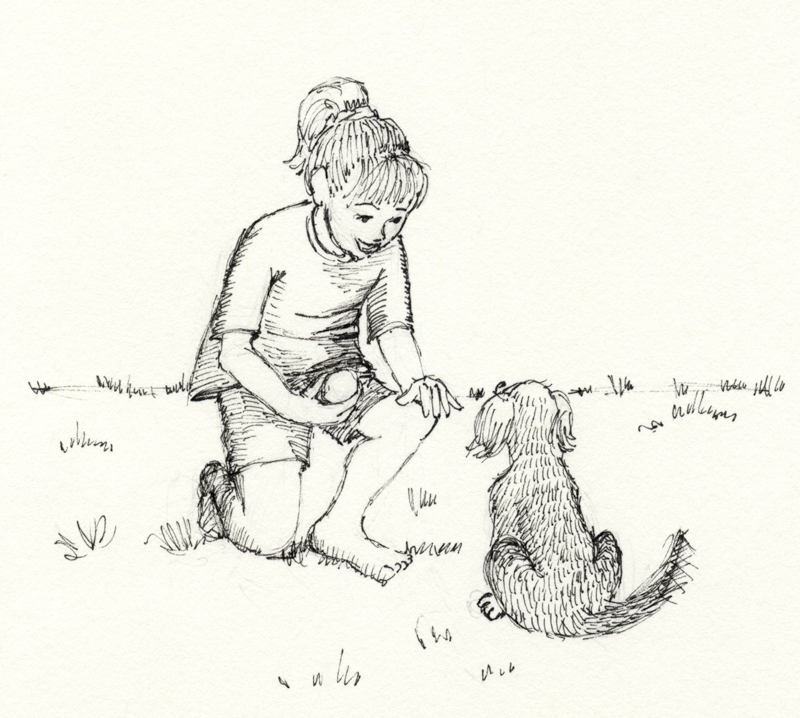 Very simple, but this drawing reflects the joy between a little girl and her best friend. When I was about four years old our family acquired a mixed breed dog we named Amigo (friend in Spanish). He was my constant companion, and very smart. My older sisters took him to obedience school, and we all loved him as a part of our family. He loved to play “fetch” and I was always happy to play along. Once again, if I could draw this well I would never speak again.